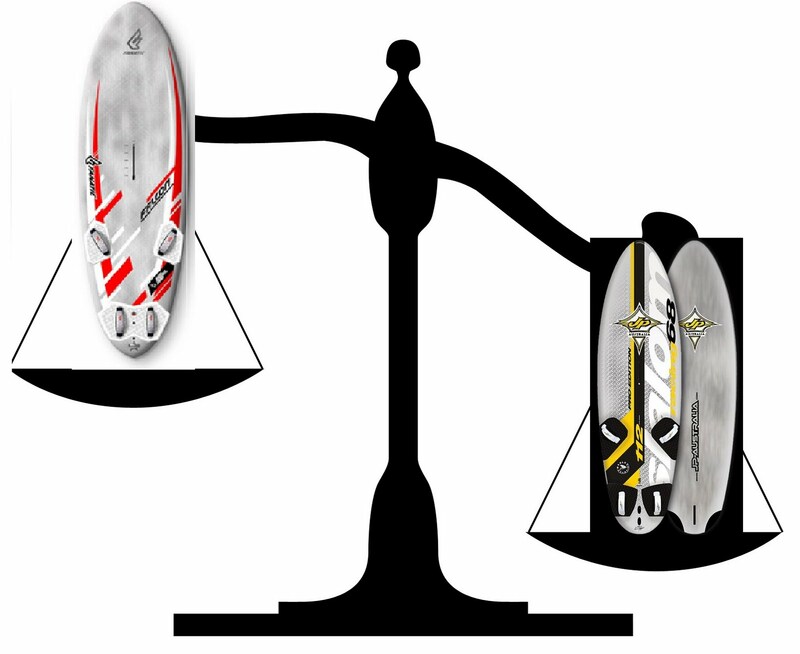 Another thing that makes boards fast is weight, this weight gets more important in lightwind conditions soo I found. This could also be translated to lightweight boards are important for extreme efficiency windsurfing, I believe this is true. At least it works really well for me and my sailingstyle. The fin lifts out the boardweight from the mastfoot and behind+ maybe 10% riderweight. The board also will need to generate lift, but I prefer for efficienct to sail the board as much as possible out of the water. Now the trick would be a board that wouldn't weight anything has no in speedruns almost no need for vertical lift from fin and bottomshape, which boosts efficiency a lot (this can be up to 10% more efficiënt). While a heavy board will always have problems with constant looseness, needed to compensate in total efficiency. I read somewhere Antoine Albeau believes the JP boardconstruction is the main reason for their performance. Only thing I don't understand why 2010 JP boards are heavier compared to 2009. Starboard is now lighter in the 131 liter size, and looking to Korea results with 2 starboards in top-3..... It was a smart thing to introduce the woodcarbon, innovation in boardconstruction might be the key for next years. With this knowledge, I also think about the advantage customboards could have. The current shapes are really good, but with construction there can be won a lot. This would result at least in a lot less enforced speedrun. When you really aim for worldrecord, especially very efficient I think getting the boardweight down is at least in top-3 for big improvements.